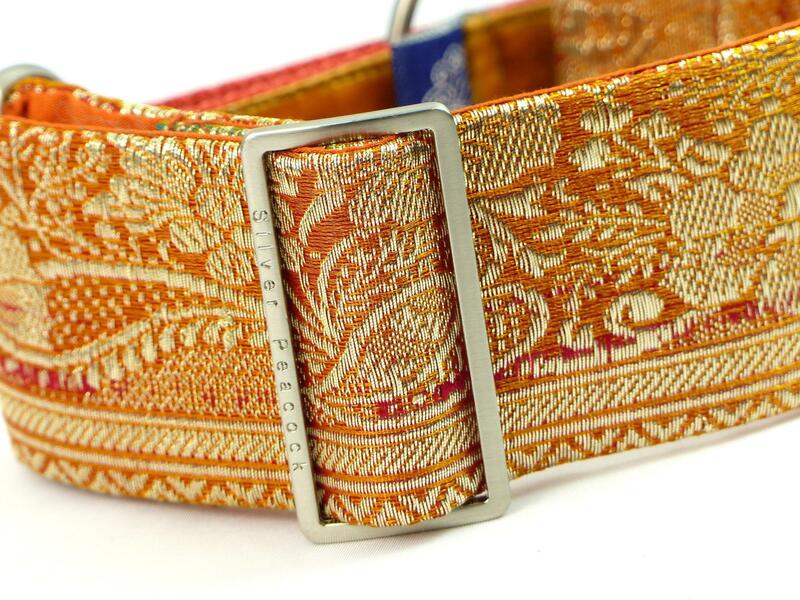 We love the sari fabrics our supplier finds for us, and this little gem is no exception! 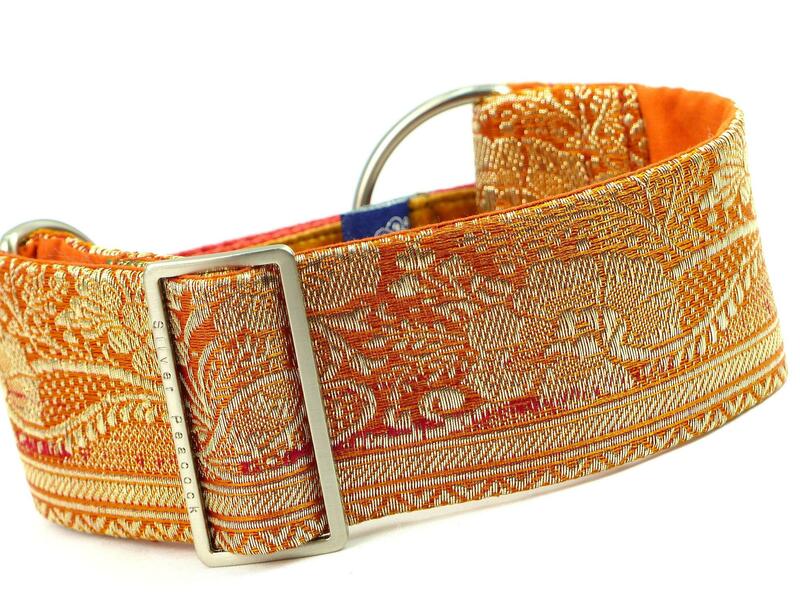 Two tone burnt orange and metallic gold makes for a stunning combination, and used in this lovely floral border design makes the most wonderful collar. The collar catches the light in a most fabulous way! This really will be perfect for special occasions! 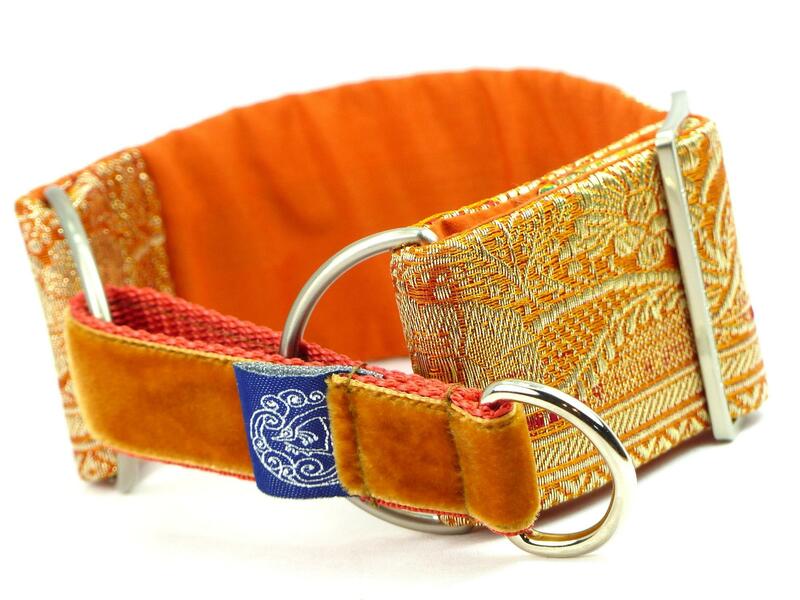 The collar is lined in burnt orange fabric and has a burnt orange webbing martingale section covered with caramel coloured Swiss velvet. 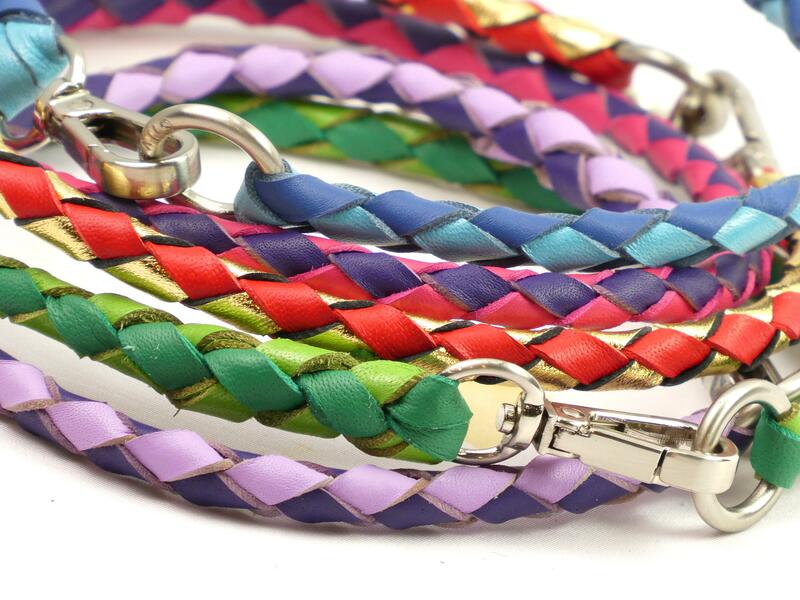 Please ask us for details of a co-ordinating lead to go with this collar. 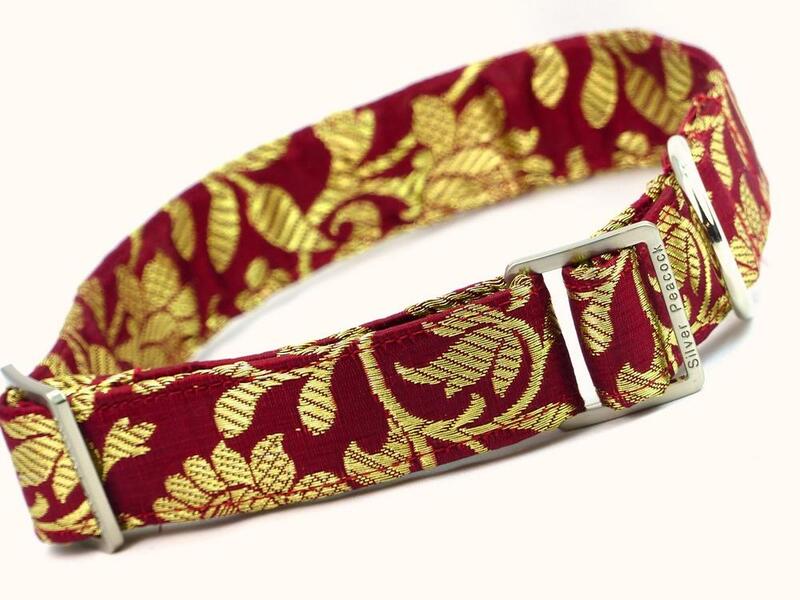 This collar has delicate embellishment so should only be used for special occasions to preserve it's looks. The Martingale collar measures 5cm (2") deep and adjusts from approx 26cm (10.5") up to 35cm (14") again with the additional 7cm (3") in the webbing section. The house collar is 1" (2.5cm) wide andadjusts from 20 cm (8") up to 35 cm (14"). 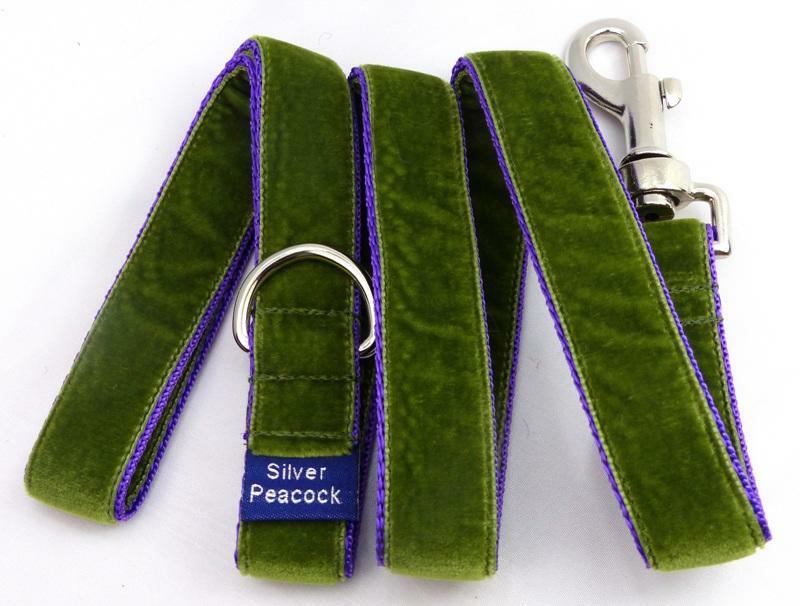 These collar are the ideal size for smaller hounds (i.e. Whippets, female Azawakh, and smaller Lurchers).